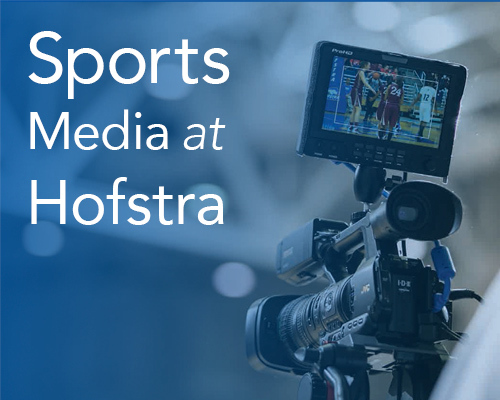 The Department of Journalism, Media Studies, and Public Relations at Hofstra University provides students with real-world experience in professional settings combined with education in the theory, art, and practice of journalism and public relations. Our students graduate prepared for careers in online, broadcast and print journalism, information graphics, media analysis, scholarly research, and public relations. With a solid foundation in the liberal arts and courses on news reporting, media ethics, history, law and public relations, students learn to question, research and analyze the social, legal, political, historical and economic factors that influence the media and its impact on society. Students also have access to hundreds of the best internships in nearby New York City, the media capital of the world. Full accreditation from the prestigious Accrediting Council on Education in Journalism and Mass Communication, distinguishing our department as one of the finest in the country. An award-winning faculty of accomplished professionals and scholars who have worked for digital outlets, national and international publications and television stations, corporate and nonprofit businesses, or as consultants and analysts for media-related companies. On-campus learning opportunities for students including the state-of-the-art NewsHub, our converged multimedia classroom, and on award-winning publications and websites such as The Hofstra Chronicle (2015 Press Club of Long Island winner for Best Student Newspaper). Graduate programs in Public Relations and Journalism. Do you have a passion for journalism and media production in sports? Check out our Sports Media courses. Cultivate strong digital/multimedia skills to become more competitive in the job market. Create a major multimedia capstone project that will promote the skills learned. Attain a paid graduate assistant position on campus, including editorial jobs in the School of Communicaton's NewsHub and working on LongIslandReport.org. Increase earning potential and the ability to teach at the college level.